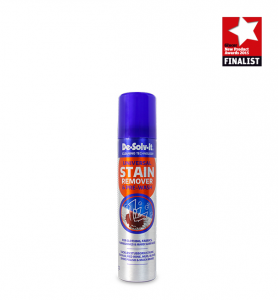 De‐Solv‐it® Sticky Stuff ® Remover Gel is a powerful gel spray solution that is ideal for use on vertical surfaces as the gel consistency clings to the stain on the surface without running off, ensuring the stain can be removed quickly and easily. 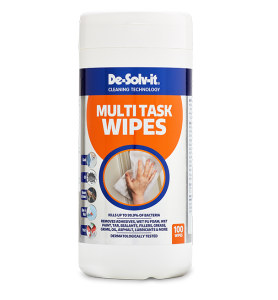 From most surfaces including glass, wood, metal, worktops, fabrics, tiles and much more. 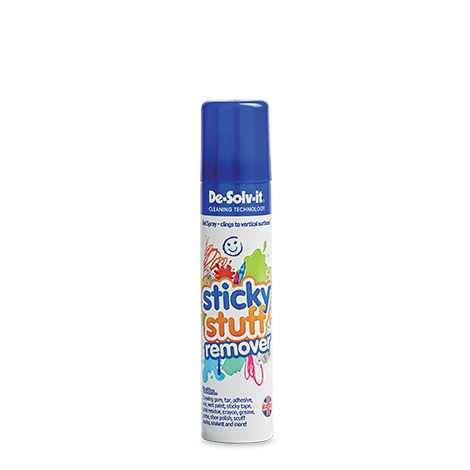 Now also available in a handy 100ml size – ideal for keeping in your desk, toolbox, craft box, glove box or handbag for tackling sticky messes any time, anywhere. 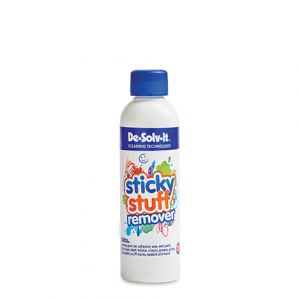 To remove sticky labels, chewing gum or adhesive residue from hard surfaces. 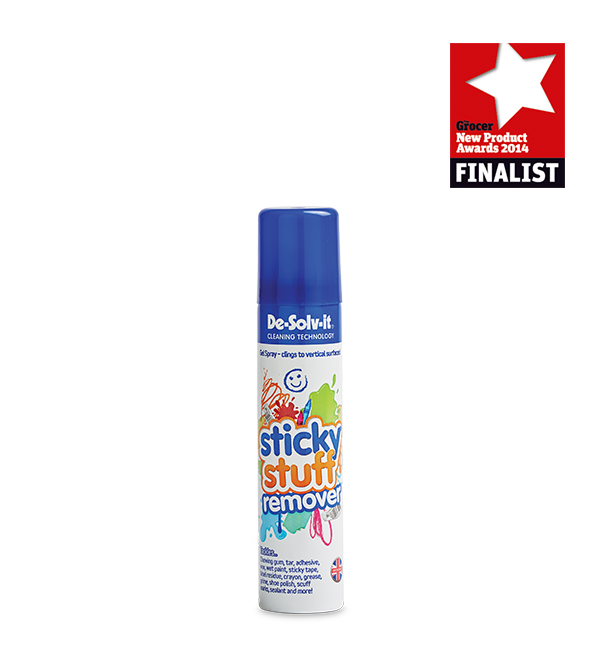 Remove as much of the ‘glossy’ part of the label, adhesive residue or chewing gum without harming the surface. Spray product onto affected area. Leave on surface for 5-7 minutes to allow to work. Rinse the surface with warm, soapy water. To remove oil based stains and make-up from washable fabrics. Blot off as much of the stain as possible. 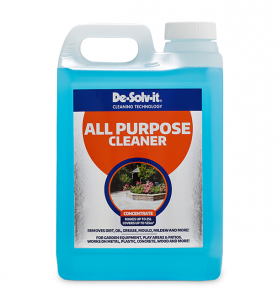 Spray product sparingly onto the affected area from a distance of 6-8 inches. Leave for 5 – 10 minutes to allow it to work. Wash the fabric using a pre-wash programme in accordance with manufacturer’s instructions. Add slightly more detergent and use the highest temperature setting recommended for the fabric. Use sparingly. Repeated exposure may cause skin dryness or cracking. Shake the can well before use.